Finally! He got done and it's my turn... nope. The next thing I know, Delaney's got it. Oh, for heaven's sake. I bought the book for ME. So I could have a laugh! What book is it, you ask. 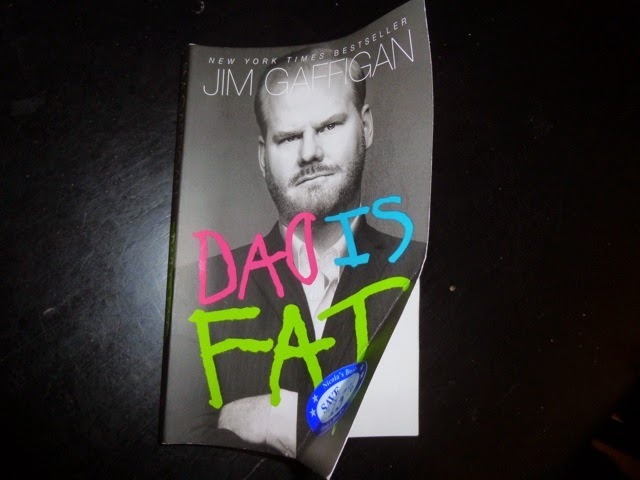 Well, it's Dad is Fat by Jim Gaffigan... a title which is based on the first sentence his son learned to write.... should he thank his kindergarten teacher for this? Jim Gaffigan is a great guy.... Well, I don't know him personally, but he seems like a great guy. He is a stand up comic... but he's not the TYPICAL stand up comic. He and his wife and their five kids live in a two bedroom apartment in NYC, and when he's not looking for open space or peace and quiet he is doing the funniest, fall over, pee your pants, get a hernia, clean, funny stuff! The small moment details of life are his specialty... that, and talking to himself as if he were an audience member. When I saw this book in the bookstore it was a no brainer– into the pile it went. I recommend you go empty your bladder and sit down before pushing the start button. And if you chuckled with that, you might want to click here to see his take on McDonald's... I've still got tears in my eyes. Thanks to Deanna from Mrs. Jump's Class for her Let's Talk About Books linky. 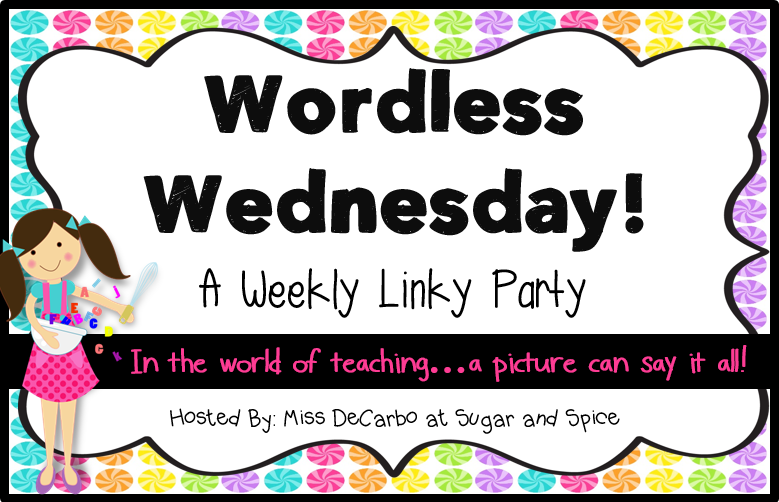 And Christina from Sugar and Spice for her Wordless Wednesday linky. Clink on their buttons up there to find more great reviews and more stuff from bloggy world! And if you're a person who loves to laugh, be sure to stop back at the end of the week for Funny Kid Friday... better yet, go right up to that Funny Kid Friday tab at the top of the page and click on the archives... you know you need to laugh... it's good for you! Bonus Fries! I laughed so much at that! Thanks for sharing the videos and I added this book to my list to buy! HA! We now talk about "the bonus fry" too :) You see why he is our favorite! Glad you liked it... hoping to actually get to READ the book soon. Thanks for comment, Carol! Thanks, Leslie. I will bump it to the top of my reading list as it is a pretty short read... when I get my hands on it :) Glad you let me know you liked it... I'll look up yours now, too. 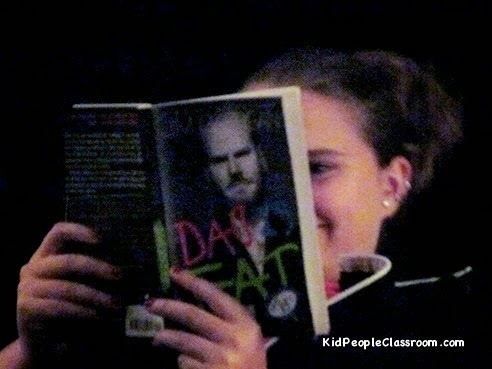 Oh my gosh, Jim Gaffigan is one of our FAVORITES!! My friend just saw him and got to do a meet and greet afterward- so jealous! :) Thanks for the laughs!